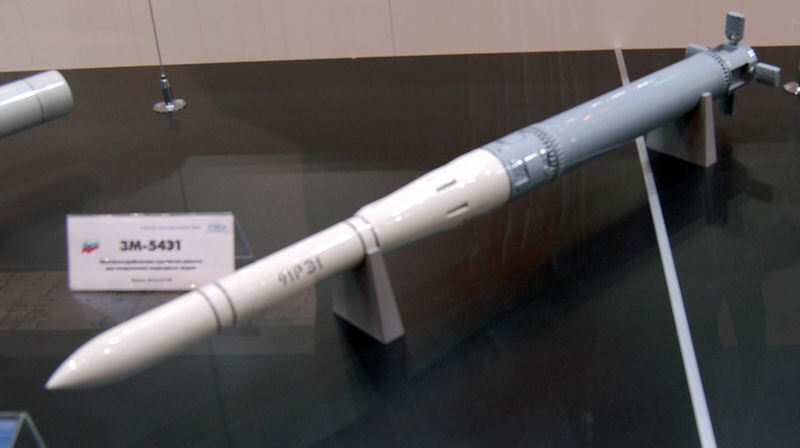 with solid motor booster 8220-8500 mm 8220 mm	 6200 mm	 6200 mm	 not less than 7,000 to 8,220 mm? launch mass	 2000 kg 2275 kg 2300 kg 1800 kg 1,770 kg 2300 kg? 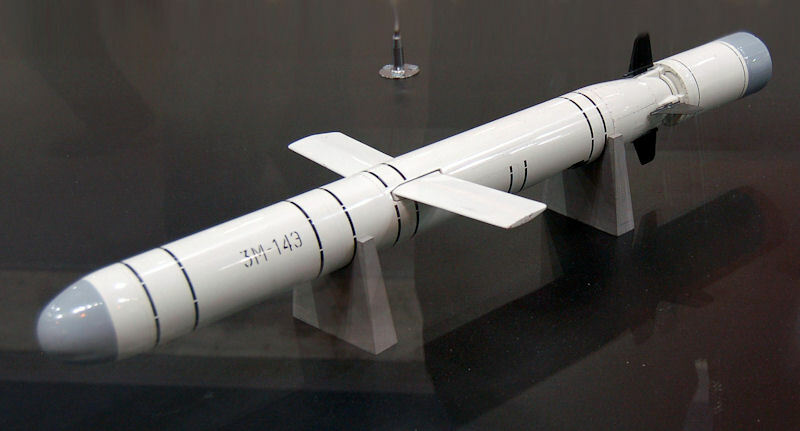 other types Missiles are used in a capsule discharged after leaving the water - similar to the 3M-10 missiles of the 3K10 Granat complex , except for Onyx missiles. 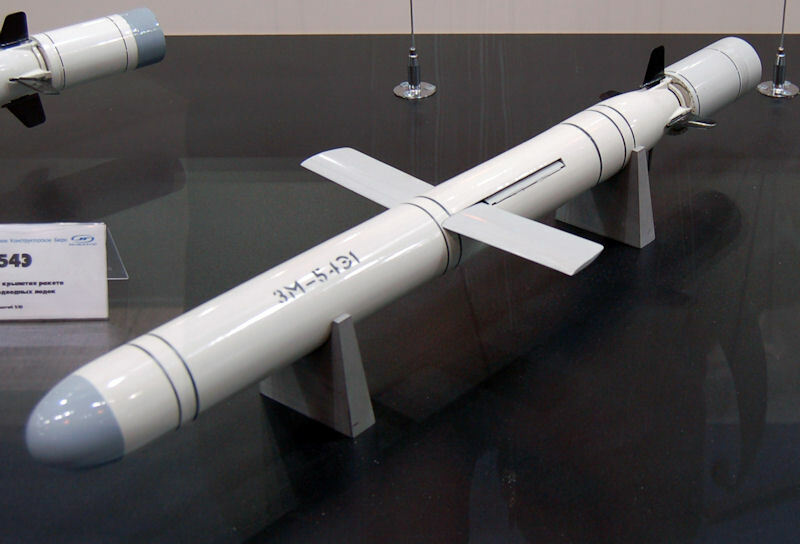 3M-14 missiles ? as minor weaponry?